If you choose not to use narcotics or anesthesia during labor and birth, you can still employ pain management techniques to make the experience more bearable and rewarding. Natural remedies include massage, heat, water, and other strategies that many women have found helpful. According to the National Institutes of Health (NIH), labor pain, anxiety and duration may be reduced with the help of massage. Massage stimulates the production of endorphins, which can help you relax, enhance your mood and reduce pain. In the months or weeks before the baby is due, have your partner practice massaging your feet, legs, buttocks, shoulders, arms, head and back, with a wide variety of intensities and speed. When labor hits, you may find that feather-light vertical stroking calms you, or you may need near-pounding in some areas. Many women want lighter strokes on their face, head, arms and feet, with stronger rubbing of the shoulders and strong pressure on their back and buttocks. Back labor, in particular, can be relieved with deep massage-- palms pressed firmly into the lower back. Oils can be used, but must be checked for safety during labor. To play it safe, use essential oils specifically designed for labor or opt for simple carrier oils such as almond or grape seed, which are entirely safe. You cannot predict what will provide comfort during labor. Even if massage and pressure worked for your first pregnancy, you may be entirely averse to touch the second time around. But it could also be the single most important pain management technique for your labor and delivery. Being prepared for either scenario is important -- not only for pain relief but also to reduce your stress levels right from the get go. Have your birthing partner practice massage on you, and pack plenty of oils, towels and wipes well in advance, not when you're rushing off to the hospital. According to a study at Babol University of Medical Sciences, applied heat can significantly reduce pain and shorten the duration of labor. Many women find it especially helpful for back pain. Heat works by relaxing muscle spasms and tightness as well as "distracting" the nerves with a new sensation. You can use heat directly on the area in pain. Check with the hospital about their specific rules regarding the use of heat in labor. However, if they have no rules, or have a liberal policy, rice socks are an excellent choice. Simply use an extra long, clean tube sock and fill it with uncooked rice. Pack it loosely so it can conform to any area of your body, as needed. Knot the end of the sock and put it in the microwave with a small cup of water beside it, then microwave for one to three minutes, depending on how warm you want it. Some hospitals will allow an electric heating pad. These can be found at CVS or most any pharmacy, but be sure to check policies beforehand. There are also gel packs at your local pharmacy, or online at New Life, that can be heated up in hot water (even very warm tap water). Many moms report that one of the most effective pain relievers is water. The warmth of water offers the same benefits that applied heat does. The impact of water from a shower head provides that ever-helpful pressure, similar to massage, while a bath will give you weightlessness -- providing significant relief. A study reported by NIH indicates that you are much more likely to refuse anesthesia if you take a shower or bath during the first stage of labor. Water during the second stage of labor usually includes a water birth, which many women find far easier to endure. Water birthing offers many medical benefits as well, so if your hospital or birthing center allows it, this is definitely something to consider. If your hospital or birthing center does not have tubs you can use during labor, or you are having a home birth, you can order a birth pool in a box, to use for labor, birth or both. Showers are almost always available to laboring women, but check with your hospital in advance. Many women combine both showers and tubs during labor. Experienced by as many as one third of all women, back labor is especially painful and difficult to manage. If you have back labor, intradermal injections of sterile water can offer pain relief. NIH documents a study suggesting that these injections are very effective at relieving painful back labor. A small amount of sterile water is injected under the skin in four specific spots surrounding the sacrum of your lower back. The theory is that these injections stimulate nerves and, again, divert the patient's attention from the pain of the contractions. The catch 22 is that the injection itself can be painful. However, most women are willing to endure a quick sting in exchange for relief from back labor. These injections are not always available at hospitals. Using a midwife and, possibly, a birth center, may be the best bet for getting this treatment. Relaxation will be key during labor, because tension can worsen pain. According to NIH, relaxation can improve pain tolerance in several ways, including lessening anxiety, decreasing catecholamine (stress hormone) response, increasing uterine blood flow and reducing muscle tension. Hypnobirthing, which you will need to learn and practice in advance of labor, may help reduce your fears, anxiety and tension, and remove you mentally from the pain. Breathing and visualization are major components. There are a number of books and programs on hypnobirthing, including The Mongan Method. 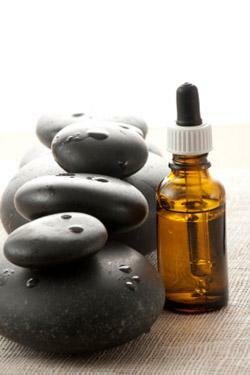 The scents of aromatherapy can prove relaxing and mood enhancing. Experiment with different scents and amounts before labor to find what is most appealing. If the hospital allows it, you can use an oil burner or plug-in diffuser. Otherwise, a battery-powered diffuser may be a good choice, or you can apply essential oils to squares of soft fabric and place them over your nose. Typically, one drop goes a long way. Oils are often sold in health food stores, and can be found online at specialty stores such as doTerra Oil. The birthing environment can greatly influence the amount of pain you experience, or don't experience. Low lighting and relative quiet are important. Familiar objects from home, such as comfy pillows, slippers, blankets or family pictures can reduce your anxiety. Meditative, soothing music can also relax you. With a Transcutaneous Electrical Neural Stimulation (TENS) machine, two strips of electrodes are attached to your lower back, one on each side of the spine. The electrodes connect to a hand-held battery powered unit with intensity controls that regulate the strength of electrical impulses being applied. These impulses send signals to the brain that compete with the labor pain signals for attention. The National Institute of Health suggests that there is not enough evidence to show how effective TENS is in relieving pain during childbirth, but that women should have the choice to use it in the hospital setting if needed. TENS can be used while you are still mobile, anywhere except in the water, and you maintain the control. It is important, though, to get clearance from the hospital. In later labor, you may be asked to stop using it if you're on continual monitoring. TENS machines can be purchased at medical supply outlets, some pharmacies, or online at stores such as Walgreens. There are a few other helpful strategies that laboring women can use in order to help reduce the amount of pain they perceive during labor. Some women find sitting on the toilet most comfortable, while others prefer to squat, walk or get down on all fours. Some find it immensely helpful to sit on a balance ball, such as the Miracle Ball. For most women, lying flat on their backs is the most painful position. Keep experimenting during your labor until you find the most comfortable position for you. Doulas are women who have undergone specific training to facilitate drug-free birth. A doula's role is to be at your beck and call during labor. Some women believe their partners will provide all the help they require, but catering to a laboring woman for several hours can be exhausting, and you might want your partner available for emotional support while the doula does all the actual work of making you comfortable. You can find a doula through DONA International. If natural childbirth is your plan, it is a good idea to prepare for as many natural pain management strategies as you can in advance. 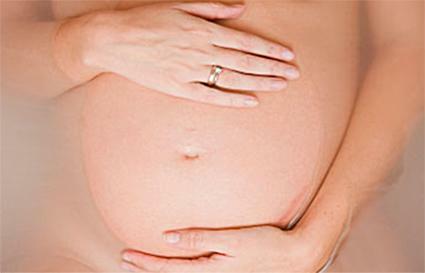 In addition, you should always discuss with your doctor your plans for a natural childbirth. You may not know until labor which will provide the most relief, even if this is not your first pregnancy. Being prepared will also help ease your anxiety when that magical time comes.